Dampening compound that delivers unparalleled water balance to achieve superior print quality. 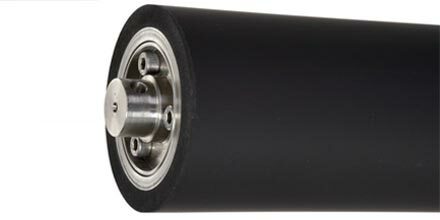 Sigma Global has developed the new AquaFLO6 compound for the generation of a precise water film on the metering pan roller for the fount/dampening delivery system. Specifically designed for high performance printing presses. Enhanced resistance to distortion and chemical attack. First Class water control, resulting in dramatically lower dampening speeds. Consistent and highly controlled dampening delivery for excellent water balance. Ensures minimum make-ready waste on press. Suitable for running Alcohol Free. 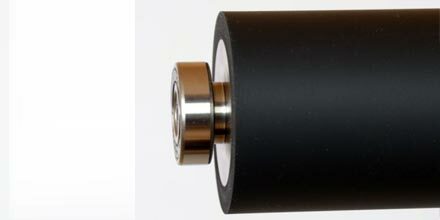 Rollers built to your specification, custom compounded elastomers, decorative design, CNC machining, and more. See how we are the perfect fit for your business. This shows how robust our rollers are and analysis reveal how many impressions you can get out of our rollers compared to the average roller.